Several Ontario lawyers have received emails from the purported William Brock looking to retain them with regards to a breach of a business loan agreement with Trimar Steel (a real company whose name and contact details have been hijacked for this fraud). This is similar to other frauds of this kind we have seen. For a full description of how this fraud works and to see other names attached to it, see our Confirmed Fraud page that deals with business load frauds. 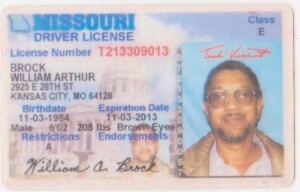 My full names are William Brock. I am a lender who lends companies and individuals funds on a fixed term to invest and in return pay back with interest. On January 5th, 2009, I lend Megaloid Laboratories Limited who is located in your jurisdiction the sum of $480.000.00 with interest on two years fixed term and to pay back January 5th, 2011. Thank you for your anticipated co-operation and understanding. Contact me should you require more information. I have attached here a copy of the Loan Agreement Promissory Note for your peruse. My borrower’s name is Megaloid Laboratories Limited. 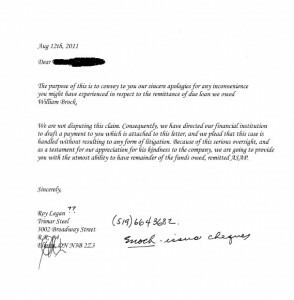 One lawyer then received, out of the blue, an uncertified cheque for $140,000 with the attached cover letter. The lawyer did some research and was able to contact the local business (Trimar Steel) who’s name was being used in the scam. The proprietors indicated that they have had their names used in a previous fraud attempts. 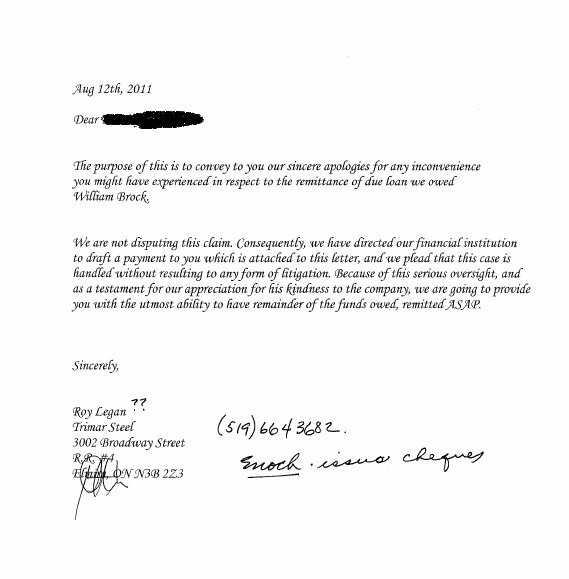 Subsequently, the lawyer’s office received followup emails and a call from the fraudsters indicating that they knew a cheque had been issued. The lawyer did not respond. 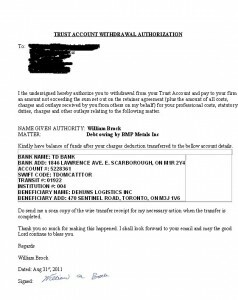 Another lawyer who received a cheque (note the different debtor name) was given the following intructions on how to disburse the funds.